making your rental business easier and more efficient! 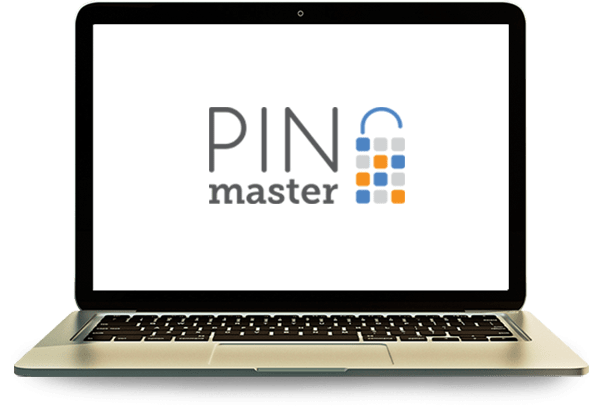 PINmaster is an innovative solution for acces control. 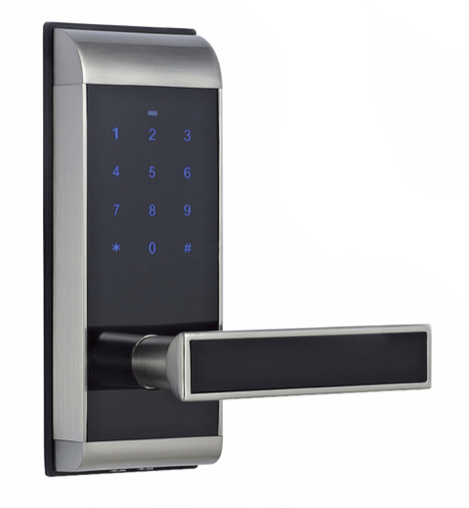 It consists of digital locks and system for access management with automatic access PIN code distribution via SMS. Convenient remote resource management via internet. Manage your bookings with web based application compatible with any internet capable device (PC, smartphone, tablet). 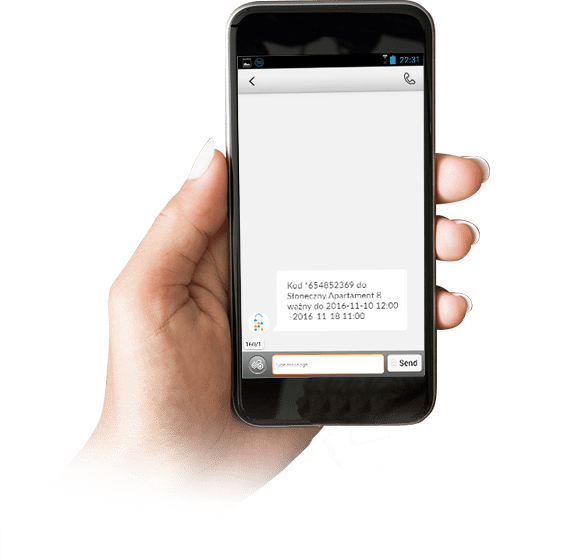 Automatic dispatching of SMSes with codes and important messages to your guests/customers. 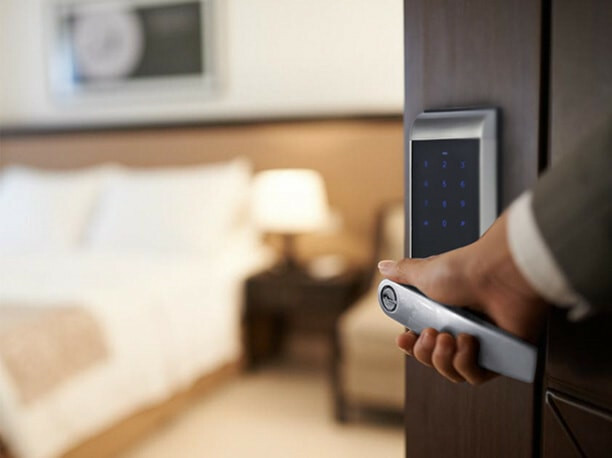 Full access control and system's event history (reliable rental verification). Supervision of your partners and employees (roles assignment, logged administrative access to properties). To get an access just dial the number. You don't need to wait for your guests. They can access their place at any time within booking period. Accee PIN code delivered via SMS. To get an SMS with code you just need to dial PINmaster number (toll free), your code is delivered immediately to your phone. 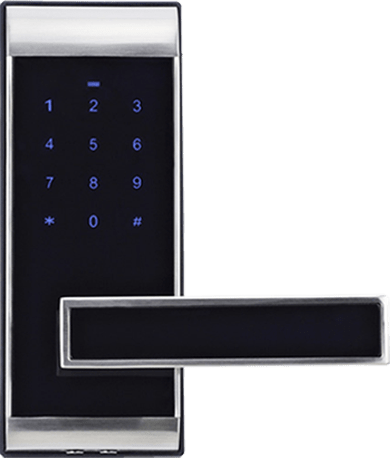 You don't need the phone to open the door - just use easy to remember 4-digits code. If you have forgotten the code, just dial again PINmater number. Access code in SMS, no keys needed. Just install our lock in place of your traditional door's latch. No need for external power supply. Powered from regular batteries lasting for approx. 9 months (low voltage alarm implemented). Emergency access with spare key or external 9V battery. Validity of single code can be set up from 1h to 2 years. Passthrough mode - no need to enter the code. 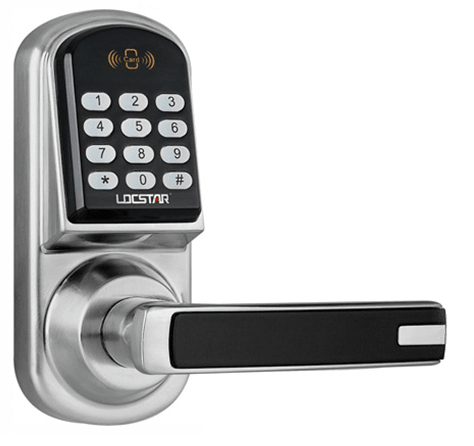 Solid, universal and easy to mount lock. Perfectly fits to most of the available doors. Suitable for business and private users. Zamek z dodatkowym ryglem elektromechanicznym, dzięki czemu z powodzeniem można go stosować w drzwiach wejściowych do mieszkań i apartamentów. Możliwość podłączenia zewnętrznego zasilania awaryjnego zwiększa jego funkcjonalność i wygodę obsługi. 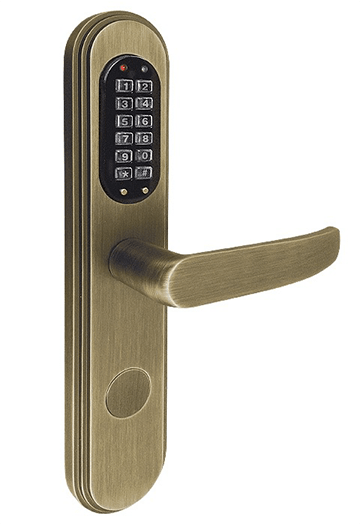 Lock with additional electromechanical latch. 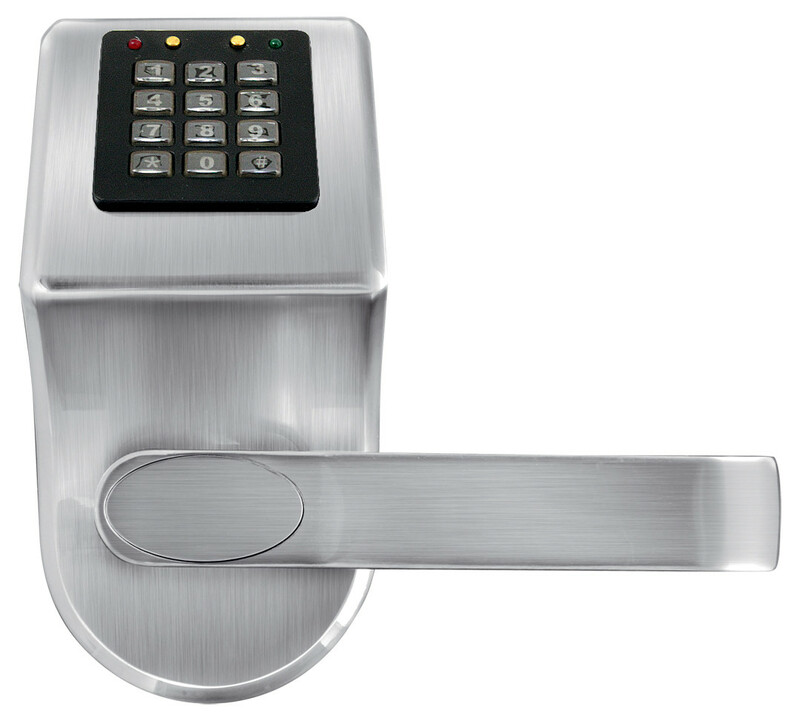 Can be used as main entrance lock to flats and apartments. Possibility to connect external emergency power supply (9V battery). Elegent and stylish lock for modern interiors. Highest quality of materials and finish, possibility to connect external emergency power supply (9V battery) and touch keypad are key attributes of this model. Thanks to PINmaster your guests can come and leave your place whenever they need - you don't need to wait for them to let them in. They will appreciate it and you would not waste your time for waiting. PIN code is valid only during booking period. Code is distributed automatically by PINmaster system - you don't need to bother about sending anything to your guests after the booking is made in PINmaster system. We eliminated also other problems: risk of lost keys, risk of copying keys, lack of appropriate number of key sets, etc. As we use SMS for communication, you can define your own templates and provide all the necessary information: password to WiFi, codes to intercom, number to landlord, etc. All events are logged by our system, so you have full visibility and control of your business (who, when, how requested access to your properties). There is no need to provide any additional infrastructure like internet, GSM, power supply in place of PINmaster lock installation. Leave us youe email or contact phone number. Our representative will contact with you and propose possibilities hotw to test our solution. We are ready to answer all your questions! Hereby I agree to process my personal data according to Polish law: "Ustawa z dn. 29.08.1997 (Dz. U. Nr 133, poz. 883)"